The whole of the Madeira archipelago. Scale: 1 : 170.000. 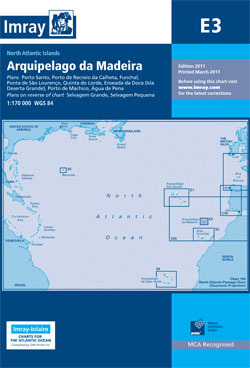 Larger scale plans of Porto Santo and Porto do Funchal.